Many of my nearest and dearest are guilty of adding to this new-found generation of blind borrowers who are foolishly ruining their credit rating. And in my circle of friends, their towering debts could have been dodged. I came across that article after one pal reached out in a panic. We hadn’t seen each other for months; work schedules dictated that, but phone chats were regular. She was going through a tough time financially and needed money quick. When I asked how much she owed, I was floored. Choked up, she revealed a tidy sum of Dh90,000. In just a few short years here, she has racked up tens of thousands of dirhams worth of debt. That sum kept ringing in my head. Ninety. Thousand. Dirham. I struggled to understand it because our lives are practically parallel. No kids to fund, no mortgage to pay. We both moved to the UAE under the same circumstances too; on the hunt for a job with just a month’s salary in the bank. Yet she has managed to become financially worse off. From a month’s wage in hand, to nine months wage down the pan. Young, free and single with no monetary ties, she moved abroad for better earning potential but has wound up with the exact opposite; debt. I couldn’t offer her relief in the way of cash, but I promised to chalk out a plan to help her get on top of her barely-there funds (Google search to the rescue! ).First though, I had to ask the question: how? And she uttered the two words: credit card. “I can’t even tell you how it spiralled,” she told me. But I could. For six years, she has been living ‘in the red’ just so her life on the outside can look rosy. Her need to keep up appearances with to-day’s show-boating millennials has outpaced her income. Like so many, her ‘wants’ have taken precedence. During that phone call, the ‘confession’ call, she made mention of a recent house move. A downsize, I thought. A step in the right direction. But no. She – the lady who just admitted to being in Dh90,000 worth of debt – upgraded to a two-bed apartment, forking out an additional Dh8,000 a year for the privelege. “It’s only Dh650 a month extra on the old place,” she said. And it was a hand to face moment for me. This blasé attitude when it comes to spending and borrowing money just seems to be the norm nowadays. The mentality ‘only buy it if you can afford it’ doesn’t exist anymore. Despite her huge debt, my friend now lives in a pricier pad and continues to dish out Dh3,500 a month to pay off a brand new SUV she purchased in 2014. My suggestion of selling up and exchanging it for something more affordable wasn’t an option, no way. I should have seen that response coming though. Last year, she refused to let me drive my Nissan Sunny to a hotel restaurant for fear of being seen by guests at the valet. See, appearance matters to her; and clearly it matters more than financial security. As far as aesthetics go, my friend is very much living the Dubai life. The car, the home, the nose job (which her credit card paid for two years ago). But it’s all a big lie. She can’t afford the life she is living, yet continues living it. She earns a fair wage, but it’s her credit card that is paying her way. That Independent article referenced some interesting findings from a survey by online credit score provider, My Credit Monitor. After tallying up the feedback of 1,000 respondents, it found that “75 per cent had no idea what their credit score was before they had their first ever credit card”. The survey is over a year old, but I can’t imagine much has changed. Going by my experience, people continue to make stupid spending decisions. Alarmingly, it also revealed that about 20 per cent of over-30s are still paying back money spent in their teens and 20s. Just recently, my own partner admitted to just that. He still has a credit card loan from years ago; a loan he is now paying 37 per cent interest on. Unless he manages to stumble across a lump sum to pay the lot off at once, he’ll be stuck with it for life. And again, the question “how?” came up. How do you sign up for a loan with such a high interest rate? His response: “I needed to furnish my new house.” Yet another case of poor decision-making triggering debt. 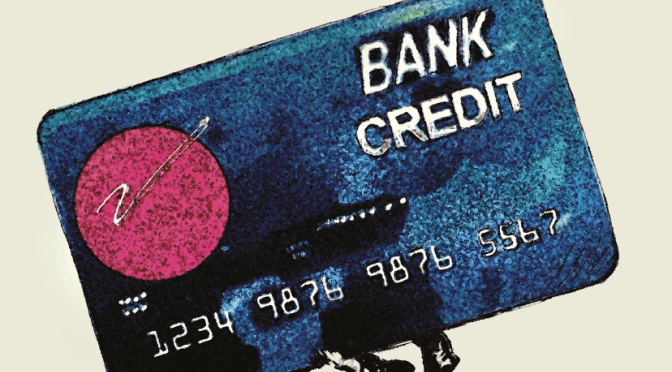 There is this spiralling trend nowadays, this blind borrowing approach to loans and credits cards that some people — not all — willingly become entangled in, only to panic when reality sets in. Up until that point, they prance through life with rose tinted glasses. The question has been raised a million times before, ‘should finance education be taught in school?’ and for me, the answer is yes. When common sense over spending fails to prevail, a forced (life) lesson may be the only alternative to curbing this habit. Justifications can be made for certain circumstances; emergencies, family issues etc, but for the young, free and single out there, ignorance and ego really isn’t an excuse for getting stuck in financial black holes. If putting it on the credit card in the hopes of paying it off later is your approach to all things money, it’s time to start redefining affordability. Kelly prefers hostels to hotels. She once met a man who lived in a cave.